Multipanel, by Grant Westfield, is on a mission to change the way we decorate bathrooms. That mission now involves us spreading our message from roadsides across the country in the form of a major investment in a large format billboard advertising campaign. Entitled ‘The Smart Alternative to Tiles’, we aim to grow awareness of Multipanel with the homeowner. Featuring celebrity designer Linda Barker and one of her new colours Calacatta Marble from the Multipanel Linda Barker Collection. Keeping the message simple, we aim to direct viewers to the Multipanel website and four of our major partners for more information. 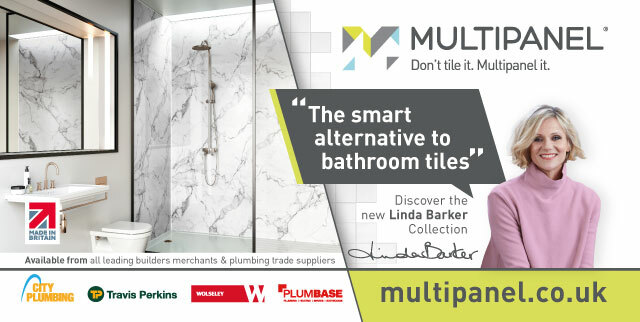 ‘The Smart Alternative to Tiles’ campaign launches on 27th August and will run throughout September and into October/early November. Watch out for our adverts in major cities such as Glasgow, Newcastle, Leeds, Birmingham, Slough, Luton, Bristol and Bradford. Read the full story on the Multipanel blog.